Prior to being elected Treasurer, Chiang served from 2007 through 2014 as State Controller, during which time he:• Took steps during the Great Recession to preserve cash to meet obligations to education and bond holders. His cash management decisions – which included delaying payments and issuing IOUs — were cited as instrumental in keeping the State’s credit rating from plunging into junk status, which saved taxpayers millions of dollars.• Worked to ensure the fiscal solvency of the State’s pension plans, and was a leader in pension and corporate governance reform. He proposed a plan to address the unfunded liability of providing health and dental benefits for State retirees, and successfully sponsored legislation requiring all State pension systems to adopt disclosure policies regarding board members and placement agents. He also has sponsored bills to curb pension-spiking, require placement agents to register as lobbyists, and require CalPERS and CalSTRS board members to file more campaign contribution disclosure reports• Aggressively used his auditing authority to identify more than $9 billion in taxpayer dollars that were denied, overpaid, subject to collection, or resulted in revenues, savings and cost avoidance.• Ensured that $3.1 billion in unclaimed property was returned to the rightful owners. 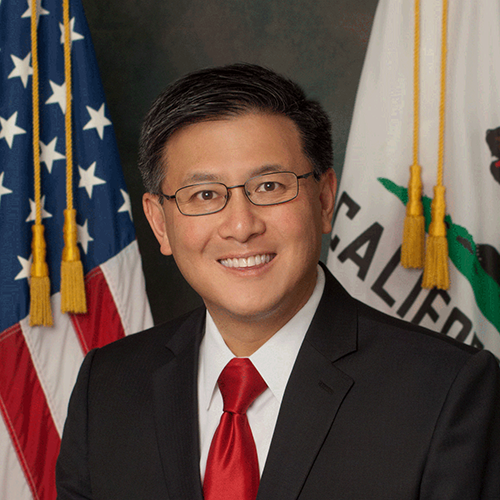 He also led the effort to reform the State’s Unclaimed Property Program, which currently holds about $7.1 billion in bank accounts, utility deposits and other property that businesses have deemed abandoned by their owners.Chiang was first elected to the Board of Equalization in 1998 where he served two terms, including three years as chair. He began his career as a tax law specialist with the Internal Revenue Service and previously served as an attorney in the State Controller’s Office.